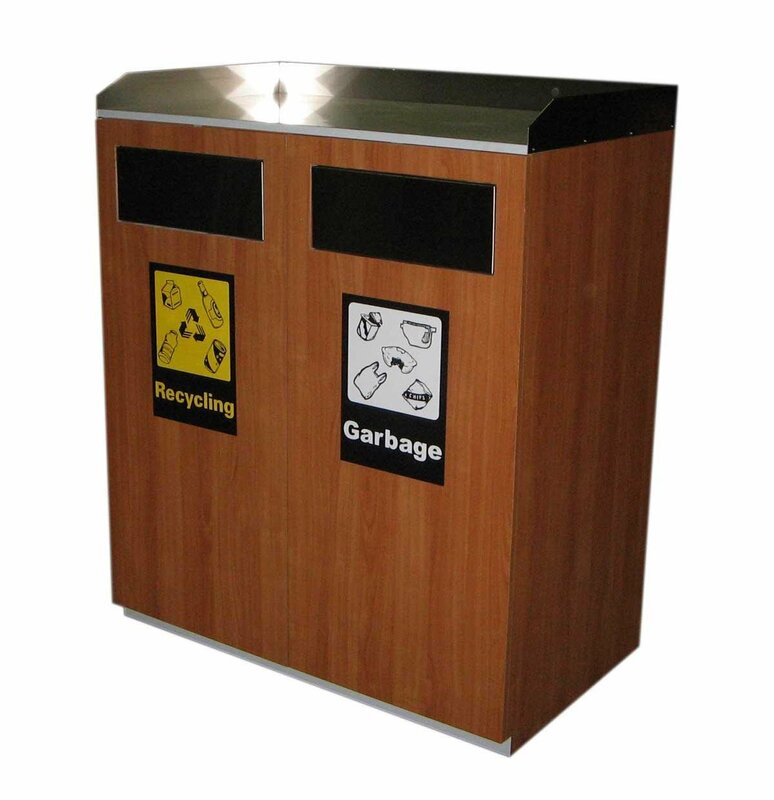 The LTR550 tray return is a dual purpose unit manufactured in a MDF construction with a laminate finish. A variety of coloured and timber laminate finishes are available. 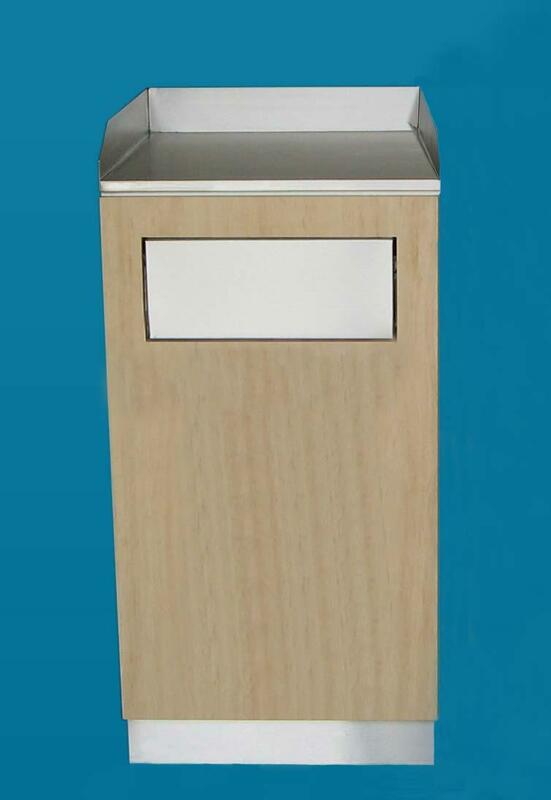 This unit is suited to food court application as it accommodates litter and stores food court trays. 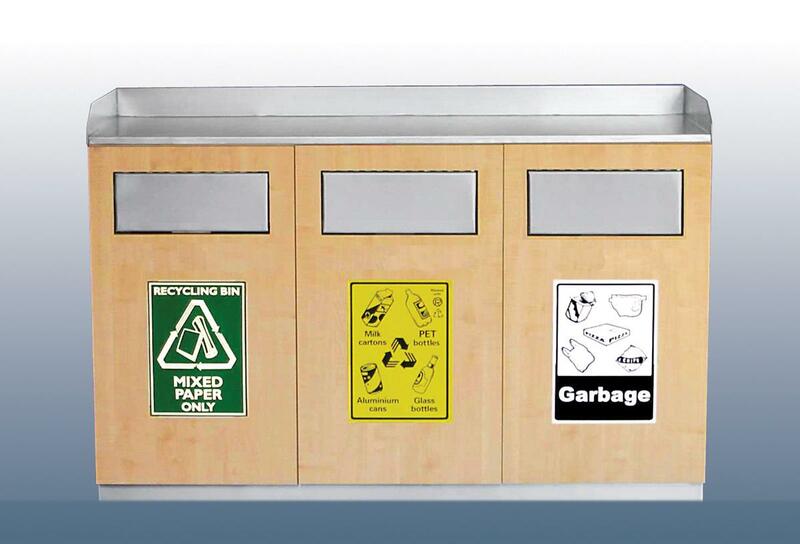 The LTR550 can also be used in recycling applications by applying the optional recycle labels.